Is your bathroom looking a little tired? If so, call now to discuss your requirements. We're expert fitters of bathrooms and showers and can make your property look absolutely stunning - it could add value too! We can install showers if you would like a separate shower and bath in your home for the ultimate in luxury. Call us and we'd be happy to advise you on the most suitable option for your new bathroom. We'll then ensure that your plumbing and fitting work will be completed to the highest standard. You'll be delighted with your new bathroom or shower installation. 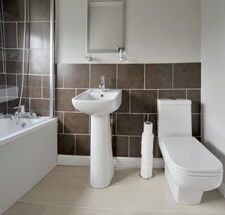 Call now on Bristol 0117 345 9036 to discuss your new bathroom or shower, and for a free estimate. We want to help you make your home look stunning so call us now.